Bordered by rivers and the Dinaric range, mountainous Bosnia, which once was an independent kingdom, has always been difficult for outsiders to conquer and control. The Ottoman Empire, which entered the country at the invitation of some rebellious magnates (from which came the saying “Bosnia fell with a whisper” – “šaptom Bosna pade”) ruled that turbulent land for more than four hundred years (1463-1878). During the eighteenth and nineteenth centuries, when the Ottoman tide in Europe receded as a result of several wars with Austria and Russia, Bosnian spahis turned homeward from their lost estates in Galicia, Hungary, and Bessarabia, placing increased pressure on the local peasantry and causing the social unrest and rebellion which culminated in the uprising (ustanak) of 1875-1878. When their arch-enemy Austria entered Bosnia in 1878, with a mandate from the Great Powers at Berlin to restore order and solve “the agrarian problem,” it must have seemed to the Moslem third of the population that this was the final blow; while to the Christian peasantry, who at first welcomed the Austrians as liberators, it soon became apparent that they had exchanged the Turkish yoke for a heavier one. Austria retained the repressive Turkish system, including the punitive taxes and corvees, and failed to abolish serfdom in a forthright manner, while courting the support of the Moslem beys, the Croatian Catholics, and the Serbian čaršija (merchant class). The Austrian failure to solve the agrarian problem over a period of more than thirty years (1878-1914) contributed directly to the events of 1914, including the assassination of Archduke Franz Ferdinand by Gavrilo Princip, the son of a Bosnian Serbian peasant. 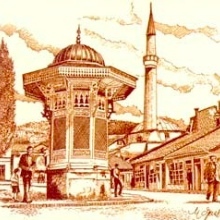 Given the predominantly oral character of Bosnian culture (in 1900, 90% of the population was illiterate), and the intimate connection between the oral bard (guslar) and the hero, as exemplified in the dual Moslem and Christian traditions of immortalizing their heros in epic songs (junačke pesme), it seems appropriate that Bosnia’s first modern writer of fiction, Petar Kočić, who was raised in the oral tradition, played a direct role, through his writings and life, in the long chain of events that led to 1914. Petar Kočić (1877-1916) was born in the hamlet of Stričići, in the mountainous area called Zmijanje, not far from Banja Luka. Kočićk’s father, Gerasim, a priest and Serbian nationalist, spent seven months in jail in the so-called “Crna Kuća” (Black House) in Banja Luka for having taken part in a demonstration during a visit by the Crown Prince Rudolph in 1888. When Petar’s mother died (he was two at the time) he was sent to live with his grandmother in a peasant zadruga, an extended family of thirty-six individuals. In the zadruga each person had a specific responsibility, and before long Petar was put to watching the lambs, and later the sheep. As far as we know, Petar was an illiterate shepherd until the age of eleven, when he was sent for schooling to the monastery of Gomionica, where his father was abbot. His two-year stay at Gomionica, called “the Serbian shrine” (srpska ćaba) instilled in Petar the cult of medieval Serbia’s greatness, as well as a patriotism that was both mystical and religious. Although he left the monastery after two years, completing his primary education at the Serbian Orthodox school in Banja Luka, he returned to Gomionica every summer, and it was during such visits that he heard much of the lore that would later appear in his stories. Petar was the best student in his class at Banja Luka, and continued to do excellent work during his first three years of gymnasium in Sarajevo (1891-1894), in such subjects as Greek, Latin, German, mathematics, and “the land language” (zemaljski jezik – the Austrian term for Serbo-Croatian). In his fourth year of gymnasium, however, Petar became angry at his religion teacher over a poor grade, threw his book and swore; he was dismissed form class and fined. According to his classmate Lazar Kondić, this incident changed Kočić from an ambitious, disciplined student, into a truant and frequenter of kafanas and bars. After a couple of incidents in bars, involving the singing of nationalistic songs and a brawl, Petar was expelled from school and sent home; but he travelled to Serbia instead, finishing his gymnasium there (in 1899), under conditions of extreme hardship and want. While in Belgrade Kočić met Janko Veselinović, whose popular short stories and novels romanticized Serbian peasant life. Petar showed Janko a few poems he had written, and was advised to try prose instead. It was not until he got to Vienna University, where he enrolled in the Department of Slavistics in the fall of 1899, that Kočić tried his hand at prose. His very first story “Tuba” (1900), begins with an idyllic country scene, but soon shifts to the plaight of two landless young lovers, Tuba and her boyfriend Blagi (Blagoje). Blagi is conscripted by the Austrian army an dies of a mysterious illness in camp at Graz – a fate not uncommon to young Bosnian mountaineers, judging from its frequency as a subtheme in Kočić. When Tuba wails at the end of the story Ümete nas Graz” (Graz has destroyed us!”) one feels that she is not just bewailing her own fate, but the fate of Bosnia as well. For it was in Vienna, surrounded by the monuments of Austria’s greatness, and the glitter, that Kočić’s Slavic patriotism burned most fiercely, as he remembered home and the Serbian “ćaba” of Gomionica. It is truly ironic that at the same time that Petar found framework for political action, he also found the milieu in which to develop his talents as a writer. As a member of the Serbian academic society “Zora” (“Dawn”) in Vienna, he came in contact with Pavle Lagarić, also an aspiring writer. It is to Lagarić’s undying credit that he recognized Kočić’s superior gifts, and tht he taught Petar the elements of the new realistic short story, moving him away from the romanticism of Janko Veselinović. Petar adapted to the new style very easily publishing his first book of short stories From the Mountain and from the Foot of the Mountain (S planine I ispod plantine, 1902) within two years of his meeting Lagarić. Several of these stories he first read in draft to the members of the Zora group, making changes in response to his listerns’criticisms. Between 1902 and 1905 Petar Kočić published three volumes of short stories, under the same title S planine i ispod planine. One story, “Jazavac pred sudom,” (“The Badger in Court”) he adapted into a one-act play, which has since become part of the repertory of the Belgrade National Theatre. In this story another of Kočić’s characters from real life, David Štrbac, takes a badger to court in a sack, to sue him for eating his corn field. This skillfully written story and play is a thinly disguised attack on Austria (the badger), and on those members of the Serbian čaršija in Bosnia, who would settle for religious and cultural autonomy of the serfs. It was during the reading of “Jazavac” before the Zora society, in 1903, and the ensuing debate, that the Serbian students in Vienna united for the first time against the autonomy platform of the Bosnian Serbian leaders (narodni prvaci), supporting Kočić’s position that serfdom had to be abolished through obligatory redemption by the state. Thus “Jazavac” made a direct contribution to the political struggle against Austrian rule in Bosnia. Besides mocking the Austrians for their obsession with laws and regulations (David Štrbac tells the judge that since the Emperor has laws for everything, he surely must have laws for badgers that eat corn fields). Kočić pokes fun a them through a string of couble-meaning malapropisms, such as “ukopacija” (burial) for “okupacija” (occupation) and “velevlažni” (all damp) for “veleuvažni” (a term of address, meaning “most respected.”) He also takes perverse delight in the confusion, perplexity, and anxiety that contact with Bosnia and Bosnians causes in the representatives of civilized, law abiding Austria. When the judge laughs at David for bringing a badger to court [“Oho, people, people! Eh, this is a real fool, the fool of crazy Bosnia! Prosecute a badger! What else will a man experience in this crazy Bosnia! Prosecute a badger! Eh, this is a real fool, the fool of fools!”]… we laugh too, in anticipation, because we suspect that the small, gimpy David is a shrewd fellow who may get the better of the judge yet. Kočić left Vienna in 1905, a highly respected author among his countrymen. His S planine I ispod planine had been well received by Jovan Skerlić, the foremost Serbian critic of the day. Kočić went to Belgrade with his wife Milka, expecting to find work, but after a few months they had to settle in Skoplje, where he was to teach Serbo-Croatian language and literature at the Serbian gymnasium there. This was his first experience at living under Ottoman rule (Macedonia remained in Turkish hands until 1912); and he remained less than a year in Skoplje, although, ironically, it wasn’t the Turks who were responsible for his departure. He made the mistake of writing an article for the Belgrade newspaper Politika (“A Notorious Wedding”), criticizing the Serbian archimandrite in Skoplje, which led to his transfer to Bitolj, a move he refused. Within a year of his departure from Vienna he was back in Bosnia, in Sarajevo, where he eventually was given the position of Secretary of the Serbian society “Prosveta” (“Education”). He wrote his brother Llija a letter full of enthusiasm at the amazing reversal in his fortunes. For whatever reason, Kočić did not heed this advice, even though it represented a great compliment, since Skerlić was the preeminent Serbian critic of the day. When the Austrians allowed the formation of a Bosnian Parliament (Sabor) in 1910, Kočić ran for representative from his district and won. In 1911 he was bck in Sarajevo, full of enthusiasm, writing Milka in Banja Luka that he has just received an appointment to the Adminstrative and Cultural Council, a position which will enable him to bring her and their child to Sarajevo to live with him. He wrote no more stories, except for “Sudanija” (“Trials”), which is based on his experience in jail. Instead, he devoted himself to preparing brilliant speeches for the Sabor, full of wit, scholarship, and beautiful language. His speeches on “the agrarian problem,” “forest rights,” and the debasement of the Serbo-Croatian language are masterpieces. Yet the brisk pace, the heavy emotions, the hardships and shocks of his life began to take their toll in 1912, as Kočić gradually lost his enthusiasm and could no longer concentrate on the work of the Assembly. In 1913 he requested permission to take leave from his job on the Administrative and Cultural Council; a several months’ stay at Ivan Planina did not help, and in January 1914 he was taken to the Belgrade Mental Hospital, where he died two years later. Petar Kočić was a Bosnian hero, not only for his literary works, but for his life. His stories were popular with the new breed of revolutionaries that sprang up in Bosnia, just prior to 1914. Vladimir Gaćinović, who associated with Trotsky and Lenin in Geneva, once stated that in gymnasium he was a “Kočićevac,” which implied not only a fan of Kočić’s works, but one who was ready to follow his painful path. The circle that linked the literature and politics of the day was completed when, at the funeral of Jovan Skerlic in Belgrade in 1914, Gavrilo Princip carried a wreath as a representative of the Bosnian Youth, just a few weeks before leaving for Sarajevo to carry out the assassination. Princip, Danilo Ilić, and others, while admiring Kočić’s martyrdom, had learned from his example that Bosnia could not be freed through the law and the courts. 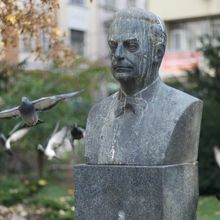 Petar Kočić served as an inspiration not only for the Sarajevo conspirators, but also for a whole generation of pre-World War I Bosnian intellectuals, among them the future Nobel Prize winner, Ivo Andrić. Ivo Andrić (1892-1975) was almost the complete antithesis of Kočić, both in temperament and background. A Croatian Catholic, from an old Sarajevo family of craftsmen, Ivo lost his father when he was two, spending most of his childhood in Visegrad, where he lived with his aunt and uncle, a Pole, who was commander of the local unit of the Austrian gendarmerie. In comparison to Petar Kočić’s childhood, Andrić’s orphanhood seems to have been relatively comfortable; he was fussed over by his childless foster parents, had his own room (the best in the house), and read voraciously. Meanwhile, his real mother remained in Sarajevo, where she worked in a cilim (rug) factory, visiting her son each summer for a few weeks. Andrić loved Visegrad and his schoolmates, and even after he left for Sarajevo, to attend gymnasium (1903-1912), he returned each year for summer vacation. He did not distinguish himself in gymnasium, repeating a year because of a failure in mathematics, and losing his scholarship from a Croatian society; but he did gain recognition as a poet, publishing two poems in Bosanska vila (1911), a very prestigious literary magazine, one of whose editors was Petar Kočić. Andrić’s next stop was Zagreb, where he enrolled in the Mathematics and Natural Sciences Faculty a strange choice for a poet who had flunked math (Karaulac guesses that this was the only department for which there were scholarships available). But Ivo had come to Zagreb not for math but poetry, and he had no problems making the acquaintance of writers like August Matoš, Ljubo Vizner, Krešo Kovačić, and Vladimir Cerina, because he already had some reputation both as a poet and a political activist. Indeed, when an anthology of young Croatian poets was published, in 1914, (Hrvatska mlada lirika) Ivo Andrić was the only Bosnian poet included. It was during his stay in Zagreb that he also developed a close attachment to Evgenija Gojmerac, with whom he later corresponded from prison. In the fall of 1913 Ivo left Zagreb for Vienna, where he enrolled in the Department of Slavistics at the university. There he attended Milan Rešetar’s lectures on “Serbo-Croatian Literature of the Seventeenth and Eighteenth Century,” as well as Josef Jireček’s “Government and Nations of the Balkan Peninsula in the Thirteenth and Fourteenth Century.” In keeping with his Yugoslavism, Andrić joined both the Croatian “Zvonimir” student group and the Serbian “Zora” society the same club to which Petar Kočić had belonged ten years earlier and before which he had read and discussed his “Jazavac pred sudom,” and other stories. But unlike Kočić, who had struggled with fierce poverty during his Vienna years, Andrić lived comfortably, renting a room in a fine old building just a few minutes walk from the university. In the spring of 1914 Ivo continued his peregrinations, moving next to the Jagiellonian University in Cracow a change facilitated by his patron, Dr. Tugomir Alaupovic, then a member of the Bosnian State Council and formerly Andrić’s professor at the gymnasium. His reason for asking for the transfer to Cracow was that the climate in Vienna was bad for his lungs. (He had first asked Alaupovic to send him to a Russian university, but this was not arranged.) One gets the impression, as one observes Andrić’s travels, that he is trying to move as far away as possible from “the center of the pain,” from the explosion the he knows will take place. When the news of the Sarajevo assassination reached him, on June 28, 1914, he didn’t return to his room to gather up his papers and belongings. He set out directly for Zagreb, where he met his wealthy friend Čerina, and together they left for the coast. But Čerina left Andrić at Rijeka, proceeding on to Italy, while Ivo made his way to Split, where he waited for the police to arrest him, since he knew he was on their list of suspicious persons. It is possible that Andrić had planned to go to Italy, too, but when his papers did not reach him in Rijeka (they were sent from Cracow to Zagreb and then returned to Cracow by mistake) he was forced to remain on the coast. In a few days he was caught in the Austrian dragnet, along with hundreds of Dalmatian nationalists, eventually ending up in Maribor prison, where he spent seven months. It is typical of Andrić’s good luck that the Maribor prison was a model institution for its time. Nor was he kept in solitary confinement, as Kočić had been at the “Crna Kuca” in Banja Luka, and in Tuzla. Andrić has called Maribor prison “a small university,” in which he began his study of English and had the opportunity to associate with other who shared the same culturally interests. (One is reminded of Milovan Djilas’s comments about Sremska Mitrovica prison in the 1930’s, when Mose Pijade transformed it into a communist training school.) It was in prison that Andrić studied Sören Kierkegaard’s Either … Or, to which he is said to owe much of his philosophy, and it was also in Maribor that he began to read Walt Whitman and translated Oscar Wilde’s “Ballad of Reading Gaol,” with the help of a German version. Yet in spite of the benefits he derived from sitting in an Austrian jail, including the patriotic notoriety, one does not have the impression that Andrić had strong convictions to sustain him during his captivity. For example, in the very beginning of his imprisonment, he wrote Evgenija from Split: “If you only knew what prison is like (and especially the Split one) you would be thankful to God that you are alive and free, and you would sing all day long and run in the grass.” And later, from Maribor, he would write her: “It’s unbelievably hard for me, harder than it’s ever been; if I get through all this in one piece I’ll know that God really loves me. Pray for me and write often. Do you understand? !” In other letters he tells Evgenija that his main concern is for his mother, that his health is so bad, but he will try to pull though for her sake, because he is her only son. Andrić was no model revolutionary, but he made good use of his prison experience, publishing two volumes of poetic reminiscences: Ex Ponto (1918, the title an allusion to Ovid’s Epistolae ex Ponto) and Nemiri (Unrests, in 1920). In Ex Ponto he writes of his humiliation, when cursed and spit upon as he marched through Maribor with the other prisoners (“they thought we were Serbian prisoners”); and in Nemiri, in his “Priča iz Japana” (“A Tale From Japan”), Andrić has transformed his student rebellion, jailing, and prison experience into an anecdote about a “Japanese” poet’s heroism, finishing with a somewhat self-serving “sayonara” to the whole political arena. In the tale, the poet Mori Ipo has conspired with a group of 350 conspirators (the exact number of prisoners who were on the boat with Andrić from Split to Rijeka) against the decadent empress Au-Ung (Austria-Hungary? ); he is banished for three years (like Andrić) but finally returns in triumph with the other conspirators. When the 350 assemble to divide up the power, they send for Mori Ipo, but he sends them a letter instead. He writes: “I humbly beg you to forgive me, because I cannot share authority with you, as I shared the struggle. Poets unlike other men are faithful only in the hour of calamity… . We poets are born for struggle; we are passionate hunters but we do not eat the prey.” Ipo-Ivo also informs the committee of 350 that he is leaving, but “if any calamity of danger should befall our Empire … and the necessity arises for struggle and help, send for me.” Andrić’s prison experience turned out to be fertile ground for his creativity, not only in his early poetic works, but also in his later prose, in the short story “U zindanu,” (“In Jail”), for example, and in his novella masterpiece Prokleta avlija (The Devil’s Courtyard), where his knowledge of prison atmosphere makes us feel like we are inside the Stambul prison with Friar Petar. In March, 1915, after the Austrian government decided that there was insufficient evidence with which to prosecute him for treason, Andrić was released from Maribor prison and exiled to the small village of Ovčarevo, Bosnia, in the custody of Friar Alojzije Perčinlić, Franciscan curate of the local church. Ivo’s mother came to Ovčarevo as well, serving as housekeeper for Friar Perčnlić, while she nursed her son back to health. Andrić’s confinement to Ovcarvo was more difficult for him than his imprisonment, according to a fellow Maribor inmate, Niko Bartulović, who wrote the foreword to Ex Ponto. At least in prison, says Bartulović, Andrić had the company of his friends, and within the four walls they were “free to comfort one another without fear and to encourage one another.” Andrić himself wrote concerning his time in Ovčarevo: “My days pass in vain. The most beautiful wellsprings of my soul have dried up. I have lost contact with everyone who loves me and understands me” (Ex Ponto). It must indeed have been difficult for a young man who had grown up in Bosnia, and had left it to attend university in Zagreb, Vienna, and Cracow, and who had tasted the bohemian life, to suddenly find himself thrust back into that Bosnia, limited to the company of a Franciscan friar and his mother, in a hamlet whose very name conveyed the image of shepherds and sheep. Yet Andrić’s own picture of his exile in Ovčarevo is not totally bleak. For example, one letter to Evgenija is full of pious confidence that Divine Providence has sent him to Bosnia for a reason, and that his stay there would somehow be for the best. He tells her how he helps Friar Perčinlić, in his work with the parish youth, teaching the children to sing religious songs and raking the grounds. And even though we may sympathize with Andrić the young man, who is sometimes bored to the point of desperation, still we become excited at his intuition (or faith) that he has been forced to return to Bosnia for a reason. For while he is teaching the children to sing “Muka Hristova” (“Christ’s Passion”) and raking the grounds, his mind or rather his subconscious, still in a state of shock at the contrast between Zagreb-Vienna-Cracow and Ovčarevo, has begun to look at this Bosnia in a new light. It may indeed have been at Ovčarevo that Ivo Andrić had his first major creative vision, as he followed the humble Friar Percinlić about his parish duties, listened to the Franciscan lore about their struggle for survival against the Turks, visited the monastery of Guča Gora near Travnik, and read the beautifully laconic chronicles from Turkish times. It was in these humble Franciscans that Andrić, still a devout Catholic, found his own Croatian heroes to match the Serbian and Moslem junaci of the epic poems. Andrić’s Friar Marko, in the short stories “U musafirhani” (“The Guest House”) and “Kod kazana” (“At the Still”) is stubborn like Bosnia, and refuses to learn, but he is also able to withstand extreme hardship, is unwavering in his celibacy, and given to spells of “zanos,” a Bosnian kind of euphoria which is sometimes akin to religious ecstasy. (The Serbian monk Simeun Djak, in Kočić’s Simeun Djak cycle, is also given to zanos.) These Bosnian Franciscan friars, by the way, who belonged to a province called by the Church “Bosna Argentina” (Bosna Srebrena), followed their own set of rules, sometimes carried guns and dressed in civilian clothes, even owned land, and bribed Turkish officials. In writing the stories of his “Franciscan cycle” Andrić was aided not only by his personal experience in Ovcarevo and Zenica with Father Perčinlić, but also by his research for his Ph.D. dissertation: Die Entwicklung des geistigen Lebens in Bosnien unter der Einwirkung der turkischen Herrschaft (The Development of Intellectual Life in Bosnia under the Influence of Turkish Rule, Graz 1924) in which he concluded, concerning the Ottoman rule in Bosnia: “It destroyed the fibre of Bosnian society and fatally wounded its spirit… . The Turks imported every species of oriental corruption.” Andrić was also aided, in choosing his plots and main characters, by the publication of the chronicles of several Franciscan monasteries (Fojnica, Kreševo, Kraljeva Sutjeska, Guča Gora), in the Glasnik zemaljskog muzeja (Herald of the State Museum) in Sarajevo. Glasnik also published several Moslem historical documents, including Mulla Bašeskija’s chronicle of life in Sarajevo in the second half of the eighteenth century, as well as Bašagic’s Kratak uvod u proslost Bosne i Hercegovine (A Short Introduction to the History of Bosnia and Hercegovina and Kapetanovic-Ljubušak’s Boj pod Banjomlukom godine 1737 (The Battle below Banja Luka, in 1737), from which Andrić drew his story “Mustafa Madjar.” Andrić’s use of real life characters (most of his monks were from the three monasteries of Kreševo, Fojnica, and Kraljeva Sutjeska) seems to be a reflection of oral tradition – particularly the epic tradition, which was even stronger in Kočić, who took almost all his characters from real life, without bothering to change their names. Ivo Andrić’s exile to Bosnia, as a result of his student activism, was pivotal in his creative development, forcing him back to his own soil. He never got far from Bosnia creatively again, even though he travelled for twenty years and lived in several European capitals, as a member of the Yugoslav diplomatic corps (1921-1941). And when he was forced by war into a second exile, this time in Belgrade from 1941 to 1945, he returned in his mind to Bosnia, and wrote the two major novels (Bridge on the Drina and Travnik Chronicle) which brought him the Nobel Prize for Literature in 1961. A third Bosnian writer-rebel, who reminds one of Petar Kočić in his uncompromising idealism, and of Andrić’s Friar Marko in his stubbornness and moral integrity, is Meša Selimović. Meša Selimović (1910-1982) grew up in Tuzla, in a once rich, traditional Moslem family. When he was eight years of age, Bosnia became part of the new Kingdom of the Serbs, Croats and Slovenes, created as a result of President Wilson’s Fourteen Points and the Treaty of Versailles (1918). Meša went to Belgrade in 1929, to begin his university studies; he worked very little his first year, spending his evenings in kafanas and bars and losing money at cards. But the world economic crisis, which bankrupted his family, forced him to become serious. He became a boarder at a Moslem student dormitory, Gajret (Arabic for “zeal”), supported by a charitable Bosnian society of the same name. He also became a Communist fellow traveler, associating with Milovan Djilas, and the bright Moslem Hasan Brkić, also from Bosnia, and a member of the Communist Party in Belgrade. Brkić instructed Meša to join certain student organizations, and to get elected to leadership positions so that the Party could influence their policies. Selimović doesn’t tell us in his Memoirs why he worked for the Communists, but one suspects a mixture of motives, including disgust with the dictatorship of King Alexander Karageorge, his own feelings of rootlessness as a Moslem in a Serbian-oriented state, coupled with the attraction of an international movement, as well as the appeal of Marxism as a panacea for those difficult economic times. Yet when Hasan Brkić asked him to become a member of the Communist Party, Meša Selimović declined, saying that he didn’t want to loseWeight Exercise his independence. After finishing Belgrade University, in the Department of Serbo-Croatian Literature, Meša returned to Tuzla, becoming a teacher of literature in the same gymnasium where he had been a student. He taught there for seven years, the only support of his family. All of the Selimović children, including his two brothers and sister, were either members of the Communist Party or skojevci (members of the Communist Youth), and when war broke out in June 1941 they quickly became involved in the resistance against the Nazis and the Croatian fascist state, which had taken over Bosnia. With his brothers and his sister, Meša smuggled supplies to the partisans, listened to foreign radio broadcasts, disseminated news from the Eastern Front, and sheltered Communist fugitives. This was dangerous work – particularly since the Selimovići were known as a Communist family and their house was searched weekly, either by the Gestapo or the Ustase. “When I told him,” says Selimović, “that this was the technology and psychology of prayer, he answered that this was correct, and that fact should not be treated ironically.” Selimović tells us that he had never heard the psychology of propaganda explained so convincingly, as it was by Hasan Brkić that day in the hills of Eastern Bosnia. Their discussion, related extensively in the Memoirs, highlights a crucial difference in the attitudes of these two Moslems toward human individuality. After the war, Hasan Brkić rose to positions of power in the new government, while for Meša Selimović another rebellion lay yet ahead. Selimović gives us a few details about Sefkija’s death, but it does seem possible that his brother, a battalion commander, had exhibited some of the same individualism as Meša and had made enemies, who finished him off when they go their chance. It may have been this confrontation with the old Balkan tribal mores that struck Meša to the core, as he was forced to accept not only the loss of his brother, but the shattering of the ideals on which he had based his life for 15 years. At the end of 1944, Selimović moved to Belgrade where he was assigned to the War Crimes Commission, and where he met with Milovan Djilas, now a high officer in the Yugoslav government and head of the Agitprop. (Djilas would experience his own disillusionment, but a decade later.) Meša tried his hand at writing a few short stories about the war, which he published in Nasa knjizevnost (Our Literature), of which he was an editor. And he married a partizanka, in what was perhaps an impetuous, irrational attempt to keep from breaking with his past. Selimović’s rejection of a partizanka for the daughter of a royal general was anathema, according to the code of morality prevailing in Yugoslavia right after the war (a code described by Djilas in his first “heretical” article, “Anatomy of a Morality,” in 1954.) Meša was fired from his job and dismissed from the Party, and in 1947 he and Darka set out for Sarajevo, to begin a new life. Like Andrić’s forced exile to Bosnia, from 1915 to 1917, Selimović’s return to Bosnian soil was crucial to his development as a writer. For the next ten years he, Darka, and their two little girls lived from hand to mouth, borrowing from their friend Risto Trifković, while Meša worked a variety of jobs and tried to write short stories at night. His first volume of short stories was “lost” at the publisher’s (the only copy he had). Yet he kept on writing, at Darka’s insistence. He said of this period of extreme hardship: “This was a cruel but perfect school of life.” In 1950 he published his first collection of stories Prva ceta (The First Company), and after he was made an editor of Svjetlost publishing house he continued to write, publishing his first novel Tišine (Silences, 1961) and a second novel Magla i mjesečina (Fog and Moonlight, 1965), and finally, in 1966, he was ready to drop his “bomb,” Derviš i smrt (The Dervish and Death). Both he and Duško walk through the aisles of the train, calling for his brother in the dark. This silly-sad stunt, typical of young men suddenly released from extreme pressure, shows how Meša was still troubled by the unseemliness and unlikelihood of his brother’s manner of death seventeen years earlier. This excellent novel, reworked in 1965 and given more plot, is notable for its lack of partisan chest-beating, it’s honesty about the feelings of returning veterans, their difficulties with their emotions, and their bitterness toward civilians even while wanting to be accepted by them. And because it is written in the first person, unlike Meša’s short stories, one feels that stylistically it represents a big step toward the kind of inner psychological exploration, akin at times to zanos, which is the strongest characteristic of Meša’s later style. 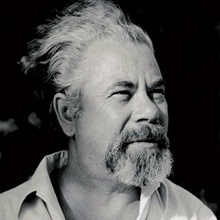 Selimović’s next major work, Magla i mjesčina (Fog and Moonlight, 1965), called “a real masterpiece of partisan literature” by one critic, was an experimental novel in which he tried to present the psychological totality of a situation by viewing it through the simultaneous inner monologues of the main characters: a farmer, a partisan commander (his brother), the farmer’s wife, and a young city-bred partisan with whom the wife falls in love. In the end both the farmer and the young partisan are killed by the Germans, and the woman buries them together. There is no increase in understanding, no epiphany from reading the novel, but rather a nagging sense that this partisan activity is disjointed and meaningless in the eyes of the civilian bystanders who are anchored to real life. There is much beautiful writing in this book, descriptions of country, with sensitive shadings of feeling that one would not expect to find in a novel about war, written in a land with a heroic epic tradition. We are never certain whether it is grief for his brother, or anger at the insult to his position, or a combination of the two that forces the dervish act. He plants the seeds for a local rebellion, kills the kadi, and takes over as judge. In time, under the influence of traditional procedures (the use of spies, informers, etc.) he becomes like his ruthless predecessor, falls victim to intrigue, and as the novel ends he is waiting to be garotted in prison. This novel is the story of the conflict between ideology and life, between power and love. Still cautious, Selimović uses and eighteenth-century setting to demonstrate what would have happened to him if he had taken the road of power and had waited to take revenge on his brother’s murderers. (He must have had many moments when he considered taking revenge.) Yet he shows artistically that he had been able to reach a position of power, he would have become in the end like those whom he despised, and would have died spiritually, if not physically like the dervish. In this sense The Dervish and Death was a catharsis not only for Meša Selimović, but for all Yugoslavs who suffered injustice, both during the war and immediately afterward. This fact, plus the beauty of its style, helps explain why the novel won universal acclaim, its author winning the coveted Njegoš prize (1969), which is awarded only once every three years. Meša confronted the conflict between ideology and life one more time, in his small novel Ostrvo (The Island, 1973), his only work to be translated into English (by Jeanie Shaterian, published by the Serbian Heritage Academy, Toronto). In the chapter “Da li da umre stari mandarin? (“Should the old Mandarin die?”) he forces us to ask ourselves whether the death of any individual can ever be justified in terms of the common good. Bold and explicit, this story leaves no questions as to the author’s position. It is a final civilized answer to men like Hasan Brkić. Just as the The Dervish narrated Selimović’s personal experience of the loss of his brother, his grief, and the symbolic death, so The Fortress relates Meša’s resurrection through his love for Darka. Set again in eighteenth-century Sarajevo, this story uses many names and details from Baseskija’s Chronicle, and is more heavily dependent on Baseskija for background than was Andrić’s story “The Way of Alija Djerzelez.” But Selimović’s novel is really about his own move to Sarajevo with Darka in 1947, and their struggle to survive. His hero Ahmet Šabo is a returned veteran, who marries a Christian (Tijana), and is refused work because of his criticism of the regime. He is helped by his friend Mulla Ibrahim, a scribe, whose life he had saved during the war. The Fortress, like The Dervish and Death, is written in the first person, which gives both novels a very different tone from that provided by the omniscient, impartial narrator in the Andrić’s works. Selimović’s heroes have a tortured sensitivity to every evil thing that is happening around them, and his Ahmet Šabo shows a stubborn unwillingness to accept evil as a cosmic force on a parity with good. In this sense Selimović transcends the Absurd, restores a redemptive power to the universe (love) and, thereby, meaning, while rejecting the oriental fatalism and autochthonous Manicheism of Andrić. This article has attempted to show how the heroic oral epic tradition in Bosnia became transformed after the Austrian Occupation on 1878, producing the writer-rebel who played leading roles in Bosnia’s struggle for freedom and change. The three writer-rebels discussed: Peter Kočić, Ivo Andrić, and Meša Selimović represent three generations and three different religious backgrounds, and each spent time in jail. In the final analysis, all these factors Bosnia, religious backgrounds, and jail, played crucial roles in their art. They each have a love-hate relationship with their native region (“Bosnia is a whore,” cries Kočić’s David Štrbac), which is a product of her sectarian divisiveness, narrowmindedness, and insularity. Perhaps, given her tortured history and ideological diversity, it is only appropriate that just as a Bosnian Serb fired the shots that started the decline of world imperialism, so, too, in our day a Bosnian Moslem has mirrored in his art the eventual death of divisive ideology.